On the third Wednesday of every month we give out bags of food to people. 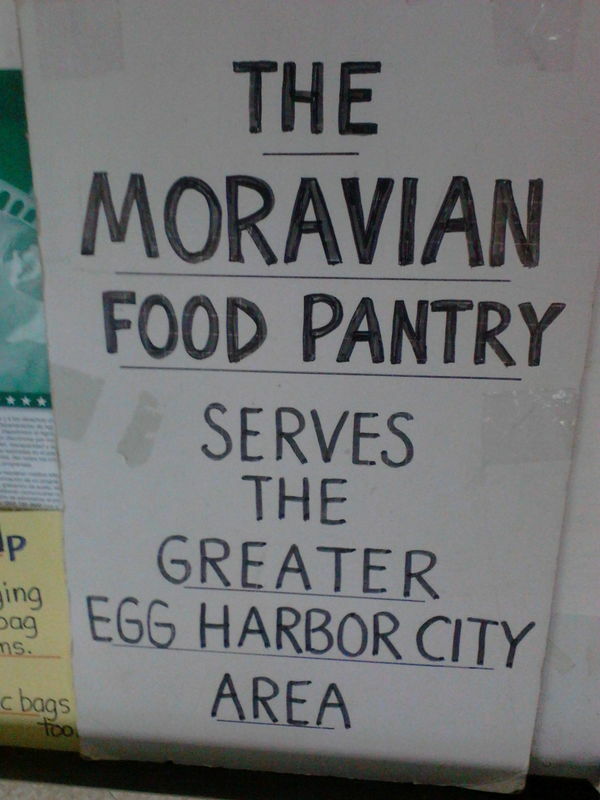 We are an official food pantry for the Egg Harbor City community through the South Jersey Community Food Bank. Volunteers pack bags of food to be distributed. Volunteers unload deliveries of food. Volunteer help is always welcome.